The winter weather in Illinois can potentially cause damage to your garage. To avoid this from happening, take precautionary steps and organize your garage space before the first snowfall. Implement these key garage storage tips for the winter time. Make a plan for unused open space in your garage. Before you start storing your possessions away, make sure that you create a strategy that allows you to get the most storage space out of your garage. Organize items according to the importance. Once you have your plan in place for your open space, you can then choose which items you want to keep out for the next couple of months and which ones you want to store away until the weather becomes nicer again. For example, you may want to keep the snow blower out and put the lawnmower away. Keep the garage floor as clear as possible. Your garage may become wet and slippery when the snow melts. The water that stays on the floor may cause damage to items that are lying around, so it is important to remove anything of value off of the garage ground. Take advantage of empty wall space. Use this space to build shelves for heavy items such as sports equipment. This way they are off the floor and put away in a designated area that is organized and secure. You may also want to install deep garage shelving that has metal stiffeners to prevent any damage to your walls and reassures that everything hung up will remain on the shelves throughout the winter. Create a gear closet for additional storage. This space can be dedicated to sports gear as well. However, the items stored in this part of the garage are meant to be stored away during the winter months, such as summertime toys, bikes, or other outdoor accessories. This can include shelves and compartments as well. Hang racks for skis and snowboards. This can be placed next to the gear closet and be the dedicated area to keep your skis, snowboards, cases, or any item that heavy and snow related so that it can be kept off of the floor and out of the way. This can prevent equipment from tipping over and causing damage to cars or other expensive possessions. Make a space for sand and salt. You never know how much snowfall is going to occur over the winter when living in Illinois so it would be wise to keep a basket or hamper inside your garage, giving you easy access to sand or salt to apply to the ground during snow falls. 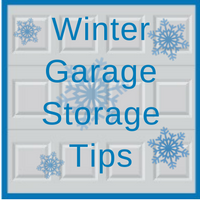 To prevent any damage to your garage floors or interior remember the garage storage tips for the winter listed above. 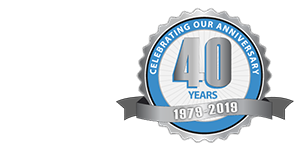 At Blue Sky Builders, our team of garage experts is here to help with any garage related project. Call 630-852-8485 or contact Blue Sky Builders online to chat with us about your next garage needs today.